Two volunteers are needed for the below dates. 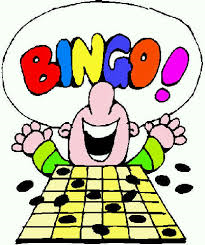 Volunteers are required to be at bingo hall before or by 5:20 pm and are finished by 9:15 pm. All hours will be applied to the 2017 registration; one bingo will take $40 from your registration fee for either minor ball or soccer. Contact either Kevin at president@castletonsportclub.ca or Cindy at booking@castletonsportsclub.ca.